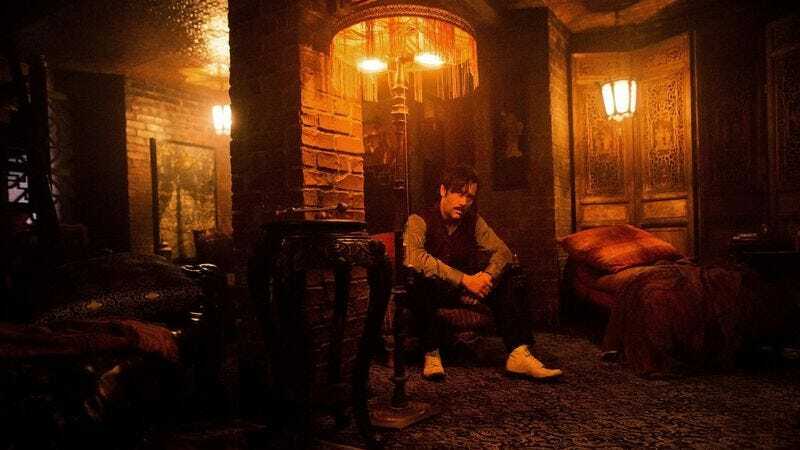 Steven Soderbergh’s Cinemax series The Knick died a bloody death last year, ending its run in a fittingly sanguine burst of self-destruction and medical obsession. But it didn’t have to be that way: according to a Reddit AMA that Soderbergh gave this week, for his upcoming NASCAR heist film Logan Lucky, he had a plan—admittedly, a weird and daring plan—ready to keep the series going past the lethal events of its second season finale. “Season three of The Knick was set in 1947 and was going—at my absolute insistence—to be shot in anamorphic black-and-white,” Soderbergh wrote, adding, “It’s POSSIBLE that may have contributed to its demise…” Fans of the show would note that moving to 1947 would represent a massive time-jump for the series, moving the story almost 50 years past its original turn-of-the-century setting. (It’s hard to imagine any of the show’s hard-partying, violence-prone medical staff would have lasted long enough to return.) The insistence on shooting in lush black-and-white is just as bold, though, even if Soderbergh was partially joking about it being the reason Cinemax pulled the show’s plug.